The All-Star break is here and it couldn't have come at a better time for the Red Wings. On Sunday, the Wings fell in walk-off fashion, 7-6, for the third straight day to the first-place Lehigh Valley IronPigs who extended their lead over the Red Wings to 9.5 games. 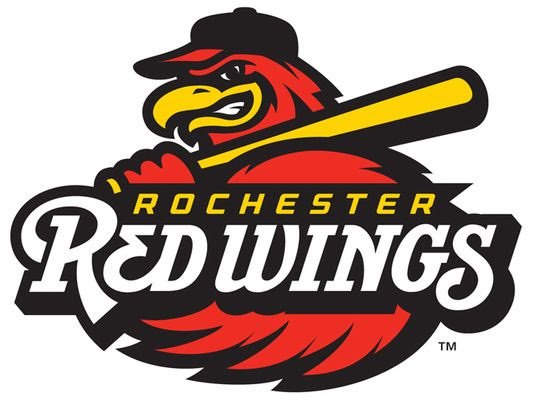 The Wings (41-44) have now lost four in a row and in all four games Rochester has held multi-run leads. The Red Wings surrendered a 5-2 eighth inning lead on Sunday spoiling a magnificent start from Fernando Romero. Romero allowed three hits in the first inning including a two-run homer to Mitch Walding, before retiring 19 of the final 20 batters he faced. In total, he allowed two runs on four hits and no walks with six strikeouts over seven innings. Over the three starts since being optioned back from Minnesota he's allowed just three runs in 18.2 IP (1.45 ERA). The Wings grabbed the early 1-0 lead on an RBI single from Kennys Vargas in the first inning. Vargas is hitting .419 (13-for-31) with seven extra base hits and nine RBI in July. Trailing 2-1 in the fifth, Leonardo Reginatto gave Rochester the lead back with a two-run homer to left - only his second of the season and 15th over his 10-year minor league career. The Red Wings got two-out RBI hits from Nick Gordon and Lamonte Wade in the seventh inning to extend the lead to 5-2. But, the IronPigs would score a run in the eighth and then Danny Espinosa hit a two-out, two-run single in the bottom of the ninth off John Curtis to tie the game and send it to extras. Vargas gave the Wings a lead in the 10th with an RBI single, but the IronPigs would get a two-out, two-run double from Joey Meneses in the bottom of the inning sending the 'Pigs to the 7-6 win. After the three-day All-Star break, the Wings resume the second half on Thursday against Scranton/WB in Moosic, PA. The Red Wings return to Rochester on Monday, July 16 to open an eight-game, seven-day homestand.